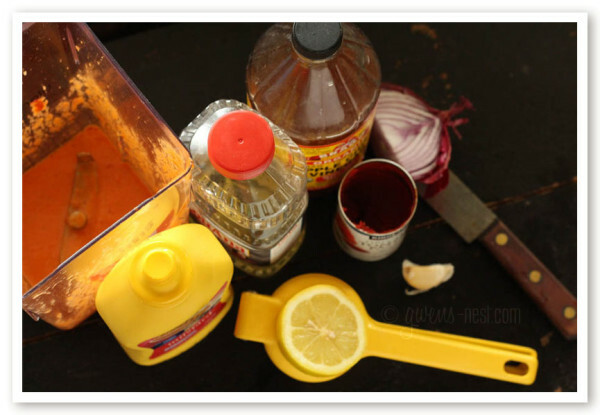 tomato paste, oil, vinegar, onion, garlic, lemon, mustard, salt & pepper. 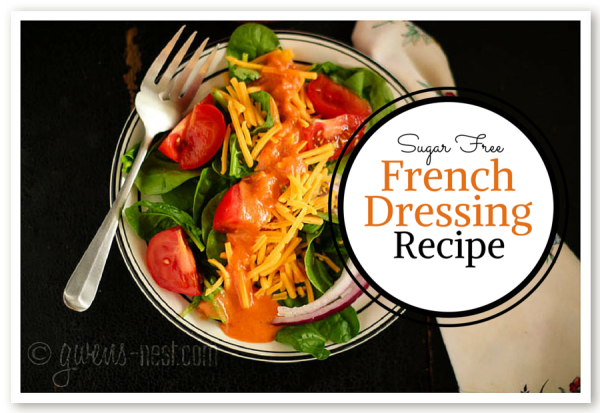 A delicious sugar free French dressing recipe that's full of zest and flavor! It's quick to blend up with ingredients that you probably already have in your pantry. Store in a covered jar in the refrigerator. 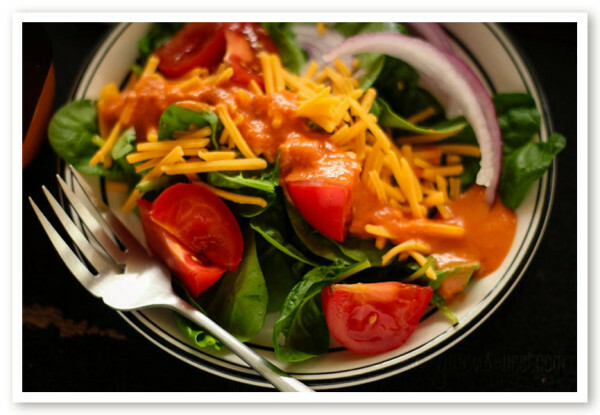 Trim Healthy Mamas: 1 Tablespoon of dressing can be used in a Fuel Pull meal, contributing just a bit of fat. If you use larger serving sizes, then it moves your meal into S territory. This is EXACTLY what I’ve been wanting! So yummy and no HFC or sugar or other nasty additives! Perfect! I doubled the recipe right away because I KNEW it would be delicious. Thank you so much! Awesome, Pam! Let me know how you like it. 🙂 I love the flavor, but the texture gets a little too thick in the fridge overnight. I have to thin it down again the next time I use it. I think maybe that’s a reaction with the tomato paste? Yes, it does get thick…I was thinking that today. I just used less and mixed it well into the salad so everything was coated. It tastes very yummy. 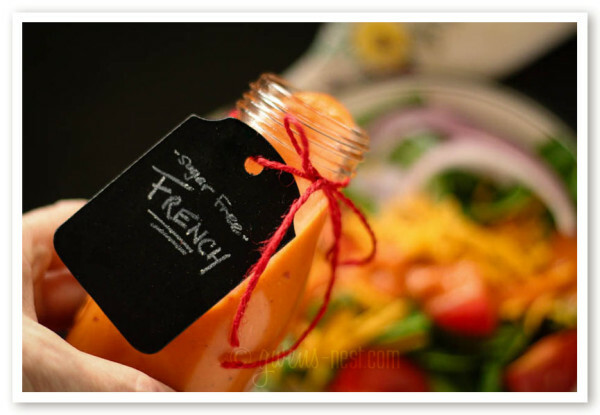 I have missed having French dressing – no more thanks to you! Bless you for sharing this and your other fabulous recipes. I am eating salad with your dressing now ..EXcellent! I used Stevia for sweetener 2 packets . Thanks so much for the great naturally good recipe so much better than store bought..
Would this work with either S, E, or FP meal with THM? I’m going to try this recipe anyway and use honey. Oops! Honey would not make the recipe sugar free, since it’s a natural sugar. 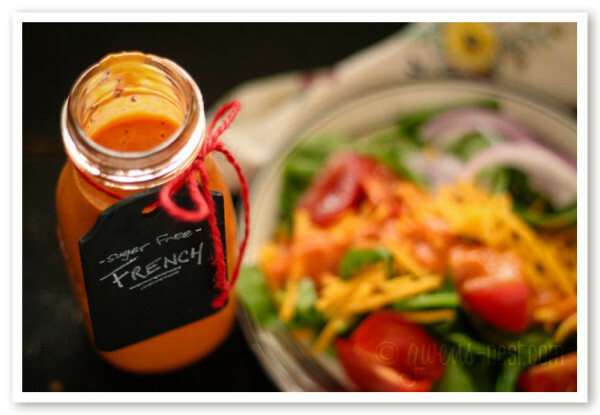 But I did blog the honey sweetened French Dressing Recipe here on Blendtec’s site! How can I pin this? 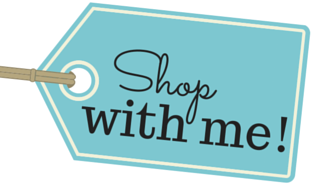 It says there aren’t any pinnable items on the page! Hello there. Im having a problem understanding how everyone has a salad with every meal. If i made an e meal and within that e meal had the allotted amount of fats how do I then have a side salad without making it a crossover? 1/4 of an onion or 1/4 tsp of onion powder? You are awesome! 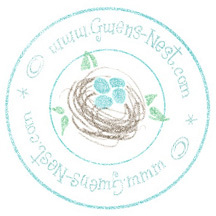 Thanks for creating great recipes full of helpful information! Thanks fir sharing! I don’t know what happened but this was so runny!! If I make it again I would hold the water and add it a little at a time until the desired consistency.